By Dan Kroll. 90 pages and 75 photographs. Written in a clear form that everyone can understand. By Neil Olson. Covers equipment, trap preparation, dirt hole set, urine post set, flat set, cow paddy set, snow set, prebaiting, playing in weather, location, etc. 53 pages. By Don Nicely, Jr. Why read the same book, rewritten 15 different ways, on basic location with chapters full of pictures? This book teaches you how to pick exact locations from knowledge and ability, not pictures. 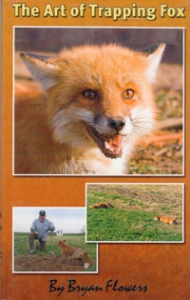 Any fox caller will gain knowledge and learn strategies to call from this very informative book. His years of knowledge are passed on to you. 40 pages. By Pete and Ron Leggett. 52 pages. 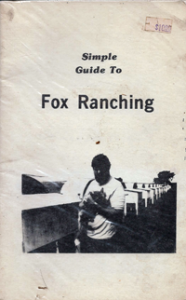 Covers red fox, grey fox, understanding fox, scouting & planning, traps, stakes, and snares, equipment, lures and call lures, Urine, bait, and much much more. 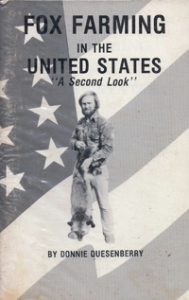 This book launched Toms career as a professional trapper. 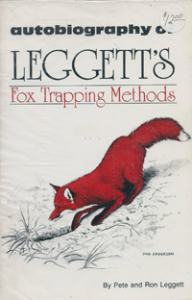 Covers locating fox, traps and care, equipment, remakes, lures, variables, and fur handling. 78 pages. 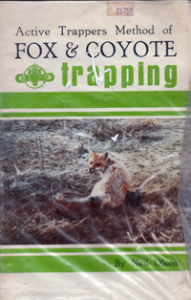 By Tom Krause This is very likely the best selling fox trapping book ever pressed. 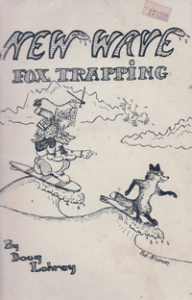 Many first time trappers have made remarkable fox (and coyotes) catches with these instructions, and you can too! 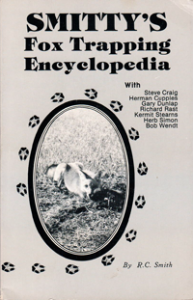 An analytic approach to fox thinking, this respected book contains uncommon ideas that excite, stimulate and provoke all wild canines. Jam packed with creative ideas found in no other books. 86 pages. By EJ Dailey. 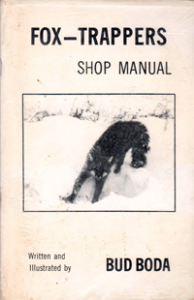 This 42 page book covers habits and distribution, equipment, trap preparation, sets, snow trapping, snaring, skinning and handling pelts, baits and lures. There are only two ways to catch a fox. Luck and Skill. This guide does not teach luck. By Paul Martin. 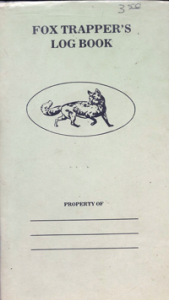 A guide to red and grey fox by Ray Milligan 104 pages of fox trapping facts. Heres a list of some of the chapters and the highlights of each. 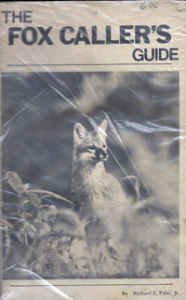 The Fox Facts: The natural history of red and grey fox as it applies to trapping. Preparing & Selecting Equipment: A complete course. Very detailed description of trap tuning and time saving methods of trap preparation. The Sets (How To): The most productive sets with variations. A course that explains what to do and why you are doing it. The Sets (where to): A three phase attack on how and when to use a particular set of luring procedures. 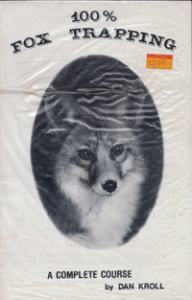 Professional fur handling, complete description of skinning, marketing and more. By Gene Richards. Covers trap adjustment, trap preparation, set location, baits lures & urine, sets, and much more! By Mark June. Over 21,000 words, 91 pages, and 90 photos and illustrations. Written for todays fox trapper! 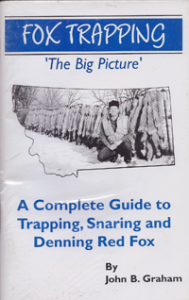 A Complete Guide to Trapping, Snaring and Denning Red Fox. By John Graham. 84 pages. By Russ Carmen. 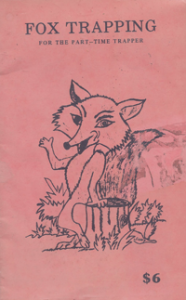 A book guaranteed to be different than any other fox book ever offered. Fully illustrated with photos and line drawings. Written in the easy to understand style Carman has become famous for. Filled with fox taking knowledge and written for the amateur as well as the long time pro. 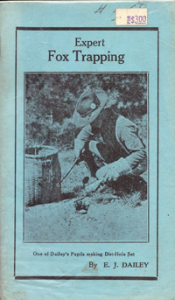 The method of preparing freeze-proof dirt is worth many times the price of the book. 92 pages. 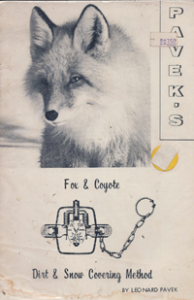 Well written booklet on how to trap fox and coyote by world renowned Trapper Hawbaker. All kinds of sets are discussed and covered in this easy to read instructional book. This book covers all facets of a high volume and high mileage operation for maximum return. It is loaded with style, system and methodology. 136 pages. By Austin Passamonte. 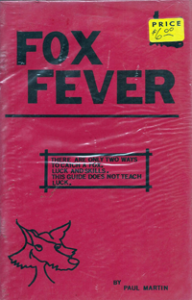 Covers fox habits, weather, sets, baits, lures, attitude, and maintaining a fox line. 99 pages. By Tom Holtgrefe. 27 illustrations and 35 pages. 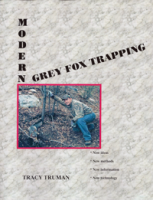 Western trapper Tracy Truman has written THE book on Gray Fox trapping. With over 30 years of trapping experience Tracy will show and tell you how to dramatically improve your catch regardless of your trapping experience or where you live. How to use modern technology to save time and money. Learn the secrets of making large catches and proper set construction that eliminates misses. 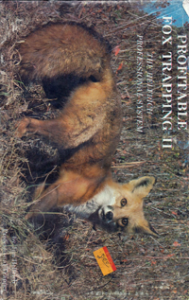 This is the best book on the market regarding trapping the Gray Fox. A very good investment for the fox trapper. 68 pages. 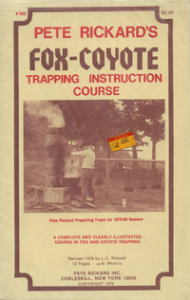 A complete and clearly illustrated course in coyote and fox trapping. 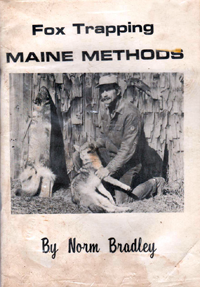 These books cover tools and equipment, the dirt hole set, water set, mound set and winter trapping, plus trips and solutions to common problems. Top quality photos and line drawings. 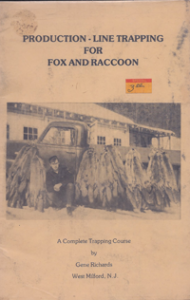 A Complete Trapping Course by Gene Richards. Designed to put you into the class of the fast moving, big time, professional. It gives you the secrets of running a long line that are not found in any other book. 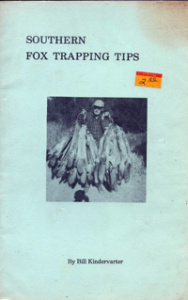 Covers fall fox trapping from A to Z. 70 pages. The Helfrich Professional System. By Jim Helfrich. 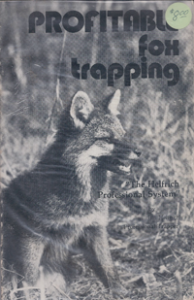 The Helfrich Professional System. 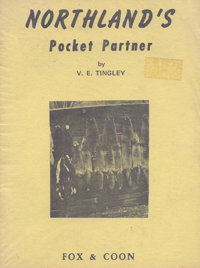 Covers the fox, the fox man, equipment, preseason work, attractors, location, sets, systems, misc, records, and trouble shooting. Many interesting instructions and sets. Lots of information to improve your trapping abilities. Bryan Flowers is a trapper and hunter from Bradford, PA that has hunted and trapped all across the US. By Malcolm Locke. Contains illustration explaining Malcolms sets. By Richard E Faler. Old Book, mild water damage. Regular Price $6.00. 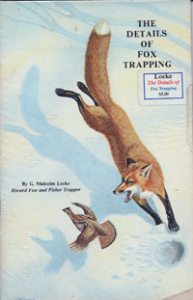 One of the few complete books on winter fox trapping ever offered. 71 photos, 68 pages.